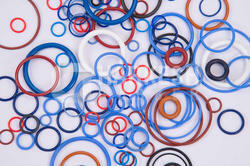 Prominent & Leading Manufacturer from Mumbai, we offer rubber seals for electrical industries. We supply tough long-lasting Rubber Seals for Electrical Industries to our valuable customers. We offer these at affordable rates in the market. Our products are in high demand. Looking for Rubber Seals for Electrical Industries ?